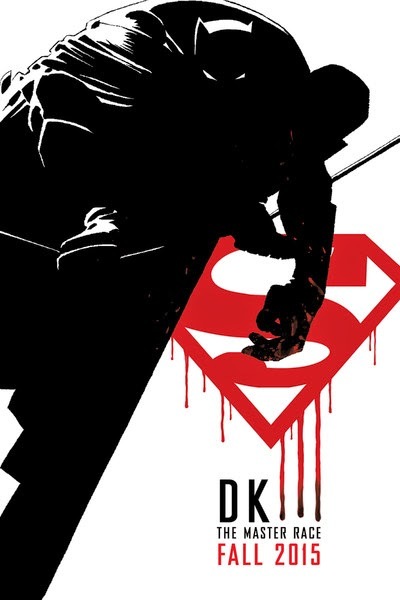 DC Entertainment announced today that bestselling, iconic Batman writer and artist Frank Miller will write the epic conclusion of the celebrated THE DARK KNIGHT RETURNS saga. The “THE DARK KNIGHT III: THE MASTER RACE” is the sequel to Miller’s 1986 classic THE DARK KNIGHT RETURNS – heralded by TIME Magazine as one of the 10 greatest graphic novels of all time – and its 2001-2002 follow-up series BATMAN: THE DARK KNIGHT STRIKES AGAIN. Miller will be joined by acclaimed writer Brian Azzarello (100 BULLETS, JOKER, and WONDER WOMAN) on the eight-issue comic book periodical, to be published twice a month under the DC Comics imprint. Marking the 30th anniversary of THE DARK KNIGHT RETURNS original series, this periodical is slated for publication beginning in late Fall 2015. Artists for the project have yet to be announced.